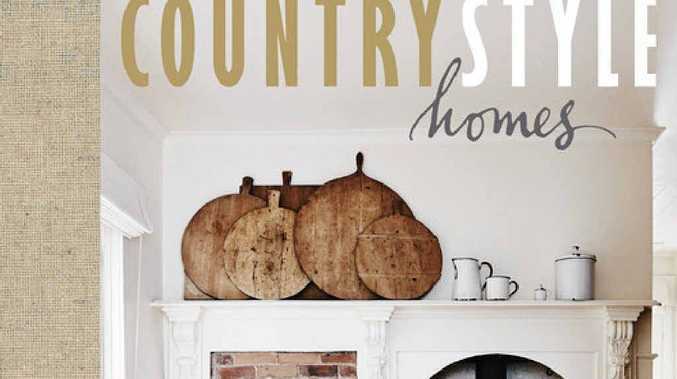 Country Style Homes is edited by Victoria Carey of Country Style Magazine and published by Harper Collins. FIRSTLY, I need to say that I loved looking through this book. The images of the homes are so beautiful and the devotion of the people who have renovated these homes is almost palpable. These images project a considered and deliberate laissez faire, which on first impression is attractive and aspirational. But honestly, when taken as a whole, this collective makes me wonder how any family could possibly exist happily within the perfection that is portrayed. Stepping back from the fact that this is basically an exquisitely produced 255-page brochure of relaxed perfection that I and my large, loud family will never manage to achieve, these homes are exactly how I wish my home looked. Belgrove transcends me to the world of Miss Elizabeth and the whole Bennett family. A truly Austenian experience; it actually inspired me to dry lavender. And truly, if I died and went to heaven, I would wake up in the Queen Anne residence renovated by the gifted Malcolm and Marianne Booth. It is exactly as I would imagine my life to be if the universe truly understood me. The casual elegance speaks of interior design efforts reminiscent of a gentler time and a simpler life. After reading this book my aspiration is to reincarnate as someone with a trust fund and enough artistic elegance to renovate an abandoned country home to the envy of all for the simplicity that my life would (falsely) convey. The city-dwelling Lillian Broderick writes on bit.ly/lillianbroderick.